This is what greeted me this morning as I looked out my front door. Um, excuse me, isn’t is Spring???? Why is it snowing??? It was even worse when I left for work this morning. It was so warm last weekend, and now this? So not fair. Please remind me why I live in Michigan. In other news, we did absolutely nothing this weekend. The husband was sicker than sick, so I spent most of the weekend disinfecting the house, making chicken noodle soup, buying cold meds, and sipping hot tea with him. I did get to spend some quality time with my DVR though….totally caught up on Real Housewives, Pregnant in Heels, and Vampire Diaries. Just keeping it classy with my TV show selections. I also go to watch some movies this weekend. Of course first I watched Harry Potter! I bought it on Friday and had to watch it as soon as I got home. Love. I can’t wait for the final film to come out in July. 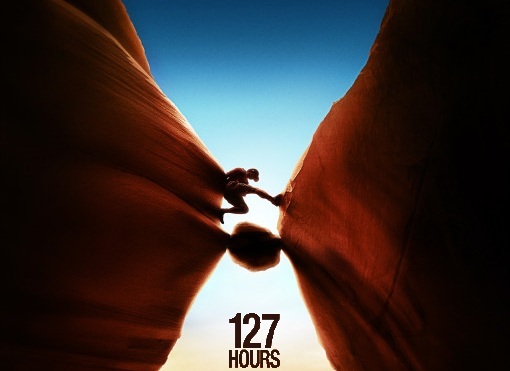 I sort of liked 127 Hours…..except for the whole chop your own arm off part. It totally creeped me out so I had to close my eyes! And I finally got to see Country Strong. It was good….but not great. I loved the music though. And now I have a major crush on Garrett Hedlund who plays Beau in the film. He was adorable. I kept thinking he looked familiar but I just couldn’t place him….and then I realized he was also the main character in Tron. Ha! (and yes, I’ve seen Tron! We watched it last weekend….let’s just say it was the husband’s pick, not mine). Goodness, I hope it warms up by Easter! I'm glad you are taking good care of the husband and hope he is better soon. Boo to snow! It is already hot and windy here in Texas. Snow actually sounds kind of nice now! As much as I love snow, after you get used to not having it for a while and get into Spring, an unexpected visit like that would throw me off, too! Hope the sun comes out soon and melts it all away! Tell Jon to feel better! And um- snow?! NO WAY! I don't believe you! He was also in Georgia Rule with Lindsay Lohan..
Oh. my. gosh, I can't imagine snow right now. I am so sorry, but I'm sitting here in a sun dress and flip flops! It's snowing in NY where I'm from, I asked my mom why she still lived there today. I thought of you when I ran out Friday morning and bought Harry Potter. I'm off today so I'm planning on watching it. YAY! We also woke up to snow. I'm so done with it for the year. Hope Jon feels better. I can't believe the snow Julie, you need to come down to ATL it's HOT here!! Glad you guys had an excuse to say in the house and do nothing, love catching up on DVR'd shows. p.s. I felt the same about 127 hours. Kind of annoyed me how cocky he was, just didn't love the guys personality. Ha I love that you liked 127 hours except the part where he cuts off his arm. I thought that was the whole point of the movie. maybe I should watch.. Hope hubby feels better. OH no! My family is getting the snow situation too in South Dakota. Sending warm weather wishes your way! PS- I'm a lover of the oh-so-ever-classy Bravo! 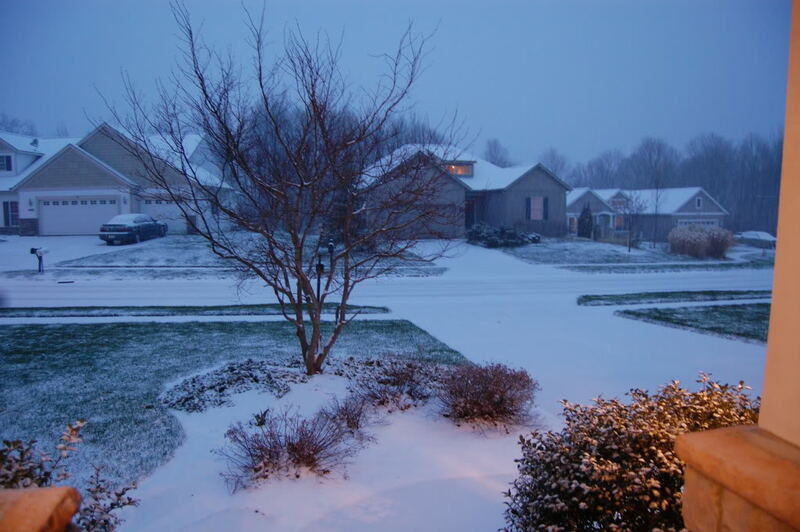 We had snow today too. Ridiculous! Isn't it almost May??? BOO!!! That stinks. I might cry. I'm tired of the wind here, but I don't want to trade it for snow! !